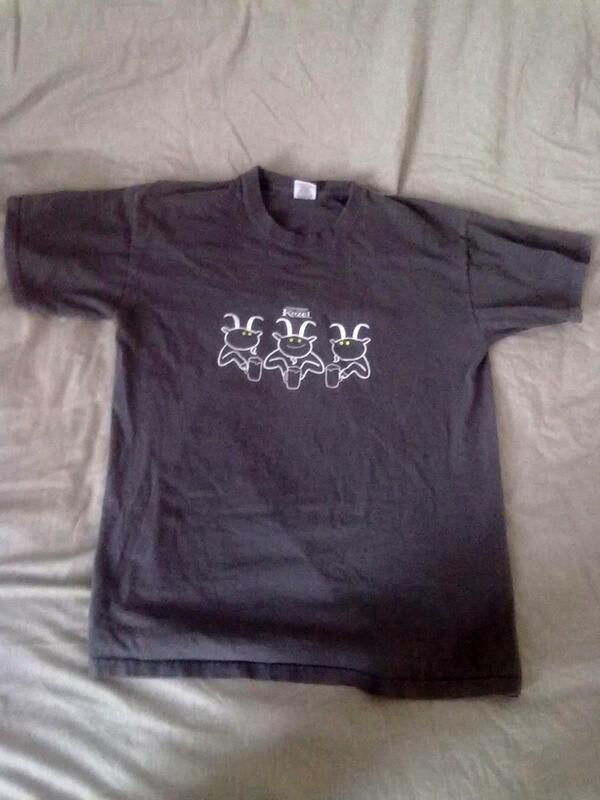 Are you one of those people who can not refuse a promotional shapeless T-shirt, especially if it is for free? Or in the worse case some of your fashion senseless relatives is used to bring you such a baggy T-shirt as travel gift? Yes i know it would be good as nightgown. Be honest - it is true till you get a boyfriend. Than those horrible pieces of fabrics end somewhere deep deep in the closet and can stay there for years as it is shameful to give them to somebody and even more worse to throw them out as it would be horrible waste (I wore it just once!). So now you can see my solution of such an awkward situation! I was inspired by this You Tube post: http://www.youtube.com/watch?v=r81KLGqdVoI&feature=related but than I found this one: http://www.youtube.com/watch?v=ZsesXTShep8&feature=related and used the technique for the sides of the T-shirt. I think that the result is quite good and do you know what is the best thing on this project? No sewing! 1. Draw the line (blue) to define the new width of the T-shirt. 2. Cut of ( red) the collar and both sleeves. 3. Cut the sides of the T shirt so that i got less or more similar stripes. 4. Pull the fabric in the place where you cut of the collar and the sleeves. The fabric will scroll. 5. Pull the stripes in the same way. 6. Use the technique from the second link to twine the strips (You can go over one or two, depends on the width of the stripes) and knock them at the end.